Always listen to the expert…	An alternate reality Fox? 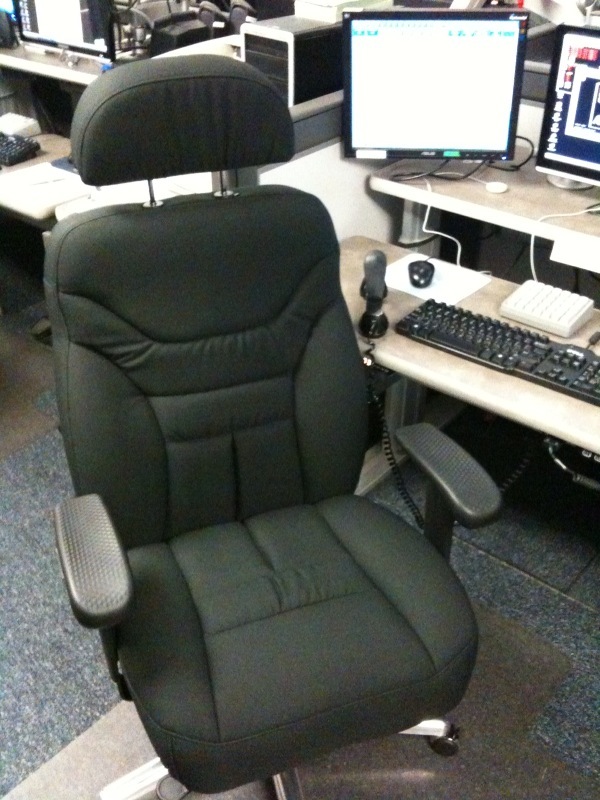 After much too long, we now have some new chairs in dispatch! Designed for a dispatch center, where furniture must be able to stand up to heavy use 24/7/365, these new chairs are a welcome addition. Our old chairs, although promoted as heavy duty, just were not up to the task. We had bought them locally, from a business supply company, but only companies that understand dispatch centers are really able to design equipment that can handle the demands we place on things. These chairs look like they’ll stand up well, and are very comfortable. The old chairs were literally a pain in my… hips. Thank you Tulare County! They’ve held up the best of any we’ve tried. The only issues are some of the pistons in the lift mechanisms have gotten stiff, and movement up and down can be difficult, and the arm rests are prone to degrading and peeling. I’ve checked the manufacturer’s website, and they are a discontinued model. We recently tried some new chairs from the same company as test units, but I didn’t really care for any of them, primarily because of the way the arm rests are designed. Good luck with your search, decent chairs are a rare find!